The matter was taken up today (12.8.2015) at 2 p.m., when Mr. Ranjit Kumar, the Solicitor General (SG) continued his arguments in reply to the arguments of the Respondents. The SG argued that under the proviso to Article 73, the executive powers of the union extended to matters under the concurrent list where the same was expressly provided in the Constitution or in any law made by parliament. The SG argued that section 432(7) CrPC expressly conferred greater powers on the union for matters under sections 432 and 433 CrPC. Section 432(7) defined appropriate government for the purposes of sections 432 and 433 CrPC, as is evident from the opening lines of the sub-section. He drew attention to section 55A IPC which defined appropriate government for the purposes of sections 54 and 55 IPC. He then contended that as per section 2(y) CrPC, words not defined under CrPC would have the same meaning as assigned to them under IPC. Therefore, if the legislature had wanted ‘appropriate government’ defined under 432(7) CrPC to have the same meaning assigned to the term under section 55A IPC, there was no need to explicitly define ‘appropriate government’ under the CrPC. The conclusion he therefore sought to draw, was that the legislature sought to give a more restricted scope to the powers of the state government for the purposes of sections 432 and 433 CrPC. He drew attention to a number of different legislations under which ‘appropriate government’ was defined differently, and in many the scope of powers of the state government were more restricted, including the Contract Labour (Regulation and Abolition) Act, 1970, the Minimum Wages Act, 1948, etc. Justice UU Lalit put forth the proposition that the meaning of appropriate government, and more specifically the powers of the state government, were no more restricted under section 432(7) CrPC than under section 55A IPC. According to him, the two sections employed two different ways of doing the same thing. While section 55A IPC defined the spheres of both the central government and the state government, section 432(7) CrPC defined the sphere of the central government, and left the residue for the state government. He explained, if there are 10 apples to be divided among two persons, one way of dividing the apples is to say five are to be given to one person and five to the other. Another way of dividing the apples is to say five are to be given to one person, and the remaining to the other. Ultimately, the consequence of both is the same. The SG drew attention to Articles 256, 257 and 258 of the Constitution of India and argued that these expressly conferred executive powers on the union even with respect to matters in the concurrent list, and thereby restricted the sphere of powers of the states with respect to these matters. However, Justice UU Lalit put forth the proposition that these Articles did not expressly confer executive powers on the Union, and merely required the states to exercise their executive powers in a manner that did not impede or prejudice the exercise of executive powers of the union. He contrasted these provisions with Article 260, under which there was express conferment of executive power on the union. The SG drew upon a list of cases to contend that the Indian State was more unitary than federal in structure. He used this argument to buttress his main point, that it is the union that has primacy in the field of suspension and remission of sentences under the CrPC. In State of Rajasthan v. Union of India (Supreme Court, 1977) Chief Justice MH Beg had held: “A conspectus of the provisions of our Constitution will indicate that, whatever appearance of a federal structure our Constitution may have, its operations are certainly, judged both by the contents of power which a number of its provisions carry with them and the use that has been made of them, more unitary than federal.” He further held that the Central Government is “amphibian”, in the sense that it can move either on the federal or unitary plane, according to the needs of the situation and circumstances of a case. Similarly, in State of Karnataka v. Union of India (Supreme Court, 1977), a case relating to the powers of the Central Government to set up a Commission of Enquiry under the Commission of Enquiry Act, 1952 against the Chief Minister of Karnataka, Chief Justice MH Beg saw no reason to read down the powers of the Central Government to appoint a Commission of Enquiry against a Chief Minister. However, it must be noted that under the Commission of Enquiry Act, 1952 the Central Government is the appropriate government even for matters under List II and List III of the Seventh Schedule of the Constitution of India. In Rajendra Nagar Adarsh Grah Nirman Sahkari Samiti Ltd. v. State of Rajasthan(Supreme Court, 2013) the Supreme Court was called upon to decide which was the appropriate government for acquisition of land within a state for the purpose of the railways. Under section 3(ee) of the Land Acquisition Act, 1894, ‘appropriate Government’ was defined as follows: “in relation to acquisition of land for the purposes of the Union, the Central Government, and, in relation to acquisition of land for any other purposes, the State Government.” The SG relied upon the holding in the case that it would be the legislation in question that would determine the scope of executive powers, and not the entries in the different lists. If under the Land Acquisition Act, 1894, the union was given executive powers over a subject in list III, then even as per the proviso to Article 73, the union would have executive powers in relation to that subject matter. Justice UU Lalit therefore emphasized that the fulcrum of this decision was that for subjects under List III of the seventh schedule to the Constitution of India, the state would have executive powers, unless the executive powers of the state were circumscribed by legislation. The SG agreed, and went on to content that similarly, the union’s executive powers would extend even to the subject matter of the CrPC (entry II list III) where the CrPC so provided. He went back to his main contention, that under section 432(7) CrPC, the executive powers of the state government were restricted. One intervener had argued on the previous day that the concept of life without remission was not recognized historically and that life imprisonment ought not to be for more than 20 years. He had argued that it is only if life imprisonment was seen as a fixed term of 20 years would the provisions under the CrPC in relation to set-off under section 428 make sense for persons sentenced to life imprisonment. The SG sought to rebut this argument, and contended that the sentence of life imprisonment itself was a ‘term’. One cannot say that only a fixed and ascertainable term of sentence qualifies to be a ‘term’. Life imprisonment is a sentence of imprisonment, whose term extends to the entire life of the individual. He stated that it is a settled position of law that graver the crime, longer must be the sentence, and longer is the sentence, the need for set-off and remission only increases because of the reformative aspect of punishment. He further argued, that if life imprisonment was considered a ‘term’, then if a person was sentenced to life imprisonment without remission for a certain term, this, too would be in consonance with life imprisonment being for a ‘term’. The State of Uttar Pradesh through Mr. Gaurav Bhatia had argued on the previous day that Swamy Shraddhanand’s cases was decided without considering any data and was based on the erroneous assumption that the States released prisoners under life sentence immediately after 14 years and exercised powers arbitrarily. The SG contended that there could not be any data that could be taken into consideration, because a large number of variable factors are involved in each single case, including the gravity of the offence, the attack on the consciousness of society, etc. These factors would differ from case to case, and therefore it was not possible to determine trends through reliance on empirical data. During the arguments of the Respondents, the question arose that if the Supreme Court were to sentence persons to life without remission for a certain term, under which provision of the Constitution would the Supreme Court be exercising its jurisdiction? If such a sentence could be imposed under section 302, IPC, then the question was moot. Otherwise, the Supreme Court would have to exercise jurisdiction under Article 142 of the Constitution of India, using its power to do complete justice. The SG endorsed the view that it was permissible to sentence a person to life imprisonment without remission under section 302 IPC, and that therefore, the Supreme Court need not resort to Article 142. Life imprisonment without remission for a term fell within the maxima and minima sentences provided for under section 302 IPC – life imprisonment and the death sentence – and therefore the language of 302 IPC permitted courts to sentence a person to life imprisonment without remission for a certain term (or life imprisonment without remission for the entire life of person). During the course of proceedings in the instant case, an argument had been raised by the Respondents, that the right to life and personal liberty would require that a person sentenced to life imprisonment must retain a ray of hope that he may be set free at some point of time. This ray of hope was also considered to be crucial to bring about the reformation of a prisoner, with reformation being an essential aim of punishment. The SG argued, that the ‘ray of hope’ of a prisoner sentenced to life imprisonment without remission, which could extend to life imprisonment without remission for the whole life of the prisoner, would be retained in two ways. Firstly, a prisoner who fell under the two categories provided for under section 433A was sentenced to life imprisonment even when there was a possibility of sentencing the prisoner to death, or the prisoner’s death sentence was commuted. The very fact that the prisoner was not given the death sentence was itself a ray of hope. The prisoner would be able to live, her life was saved, and nothing is more precious than life. Secondly, the SG argued that the ray of hope of the prisoner was retained due to Articles 72 and 161 of the Constitution of India, and that these powers of the President and Governor were in no way touched by a sentence pronounced by the courts. The SG argued that the Respondents were in fact arguing for a double commutation, and were asking for far greater than a ‘ray of hope’. The SG argued, in response to Dr. Yug Mohit Chaudhry, that the union was perfectly justified in coming before the Supreme Court under its writ jurisdiction. 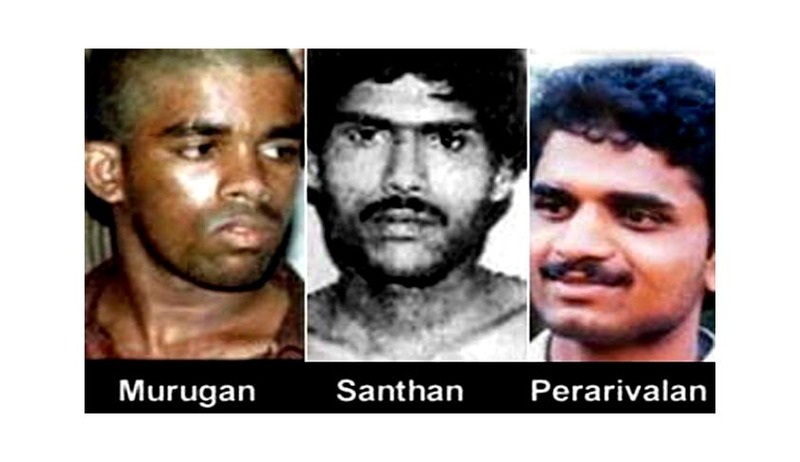 He argued that the cause of action arose when the State of Tamil Nadu formulated a proposal to release the prisoners convicted for the Rajiv Gandhi murder case the very next day after the Supreme Court commuted the death sentence of three of these prisoners to life imprisonment subject to remission. The only reason stated by the State of Tamil Nadu in its letter to the Union of India was that they had spent 23 years in prison. In such a short duration, there was no time for Tamil Nadu to have applied its mind to the gravity of crime, number of persons killed, number of persons injured, the terror struck and all other relevant factors that should have been kept in mind. The Bench stated that the matter may be premature, because it was open to the Union to have raised this point in its reply to the letter of the State of Tamil Nadu. However, the SG contended that the proposal itself was wrong and gave the Union a cause of action to approach the Supreme Court. The SG concluded his submissions by emphasizing the role of sentencing. He argued that a sentence brings finality to a matter that originates upon the commission of a crime, and is a necessary component in the administration of justice. Whenever a crime is committed, not only the victim, but the whole of society is aggrieved. The persons aggrieved will be satisfied only when the matter reached finality, which is possible only when an adequate sentence is imposed on the perpetrator of crime. Thereafter, Mr. Dwivedi, counsel for the State of Tamil Nadu sought to submit surrebuttals to the arguments of the SG. However, the Bench decided to conclude the hearing in the matter, and permitted the Respondents, and all States to submit written arguments within a week. See the Law and other things post here.